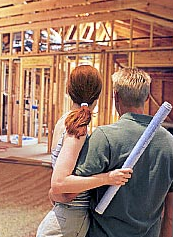 You are considering becoming your own general contractor or as we have discussed already your own home builder. So let’s talk about what commitments you are considering taking on. We are going to focus here primarily on the time commitment. When building your own home you need to be prepared to commit the required time to all of the following steps in the process. 1. Lot Selection- When considering building your own home you will need to be directly involved in the lot selection process. This may include travel days to visit perspective sites as well as possible visits to the local building department to inquire about building restrictions on the available sites. Once you have selected a site then the purchase negotiation process begins as well as the possibility of financial meetings if you need to fund the property purchase. The last part of this process will be the final closing on the property purchase. All of these steps may require time away from work. 2. The next step towards building your own home will be the process of determining a home building budget. This may be accomplished after work hours or may require visits with realtors or custom builders to determine the current cost per square foot to build in your area. In this part of the building your own home process you will work on creating your budget, you may begin the pre-qualification process for your future home loan to determine the budget dollar amount. This of course will require time to meet with lending officers so plan on potential work day appointments. 3. Now you should be equipped with a good idea of your available budget and be prepared to begin the home design process. Your time commitment here will be determined by whether you select an Architect or Residential Designer to work with or choose to order plans from an online source. Once you make this decision you can plan for the time commitment in this stage of building your own home. Once you have completed the design phase for building your own home you should now be actively involved in getting all the required subcontractor quotes for your new home project. The time commitment for this stage will depend on the research you do into selecting the subcontractors you want quotes from and the time required to collect and sift through those quotes. 4. It is time now to meet back with your lender and confirm the final budget and set up your construction loan so you will be ready to begin the construction process. 6. With construction now underway you will need to have a contact system available for both subcontractors and material suppliers. These people will have to have a reasonable process to access you in the event of an emergency or serious question. You are advised to schedule meetings on a daily or at least an as agreed schedule with subs currently on site to avoid emergencies. Understand that while building your own home this is the most critical part of your commitment to building your own home as wasting subcontractor time will cost you money. 7. While building your own home if you will take on any of the actual construction duties then you will need to address the time required based on your involvement and skill level. In summery when planning to build your own home it is important to understand and follow this simple rule. Time is money and it is your money. If you hold up other peoples work being unavailable or delaying the decision making process it will cost you as well as the fact that the clock is ticking. While building your own home you are paying interest on your construction loan and need to weigh the cost to value of having others complete your work on a timelier basis.